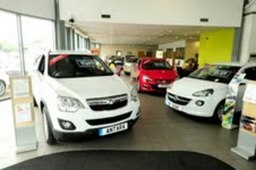 From humble beginnings twenty two years ago when we acquired the Vauxhall Franchise in Daventry, Northamptonshire, we have grown our independently family run business into one of the largest dealer groups in the Midlands. We now represent Vauxhall and Chevrolet in the primary areas of Rugby, Coventry and of course, Daventry, at which we have just built an all new purpose built facility on two acres of land. We have two sites in Coventry trading as Brandish and Tile Hill. Our Rugby operation, Great Central is also supported by our Vauxhall Accident Repair Centre, Great Central Body Repair. Daventry now has Danetre Garage, which is our most bold facility yet and encompasses all customer facilities that you could wish for. Our business has been built on customer satisfaction and the loyalty of our staff.